Home | Marketing | Branding | How Effective is Your Logo Design? The quality of your logo design can mean the difference between success or failure. It can be that simple! Trademarks and Logos make up the most international language in the world. An excellent logo can cross many barriers and provide your organization with a means of delivering to your customers an unequivocal and uniform message. Every successful company has its own “personality,” and just as human personalities are complex, so too is your company’s personality. A successful logo is a means of condensing a complex reality into a single, simple statement, one that can be controlled, modified, developed and matured over time. Your logo design needs to be much more than just a distinguishing mark for your company. It must be an indication of quality, value, and reliability. Add value by causing you to provide a quality service in order to maintain your company’s reputation. If your logo doesn’t do these things, then you might need to update it, possibly seeking professional advice. Is Your Logo Design Really that Important? It is because of this that much of your efforts in marketing and branding should be concentrated on building a distinctive and differentiated “brand personality” for your company. Your logo is the means by which you can distinguish your products and services and therefore serve both your needs and the needs of your customers. Ok, so what are the top 5 components that make up an excellent logo? It is interesting to note that many new companies adopt logo styles that are very similar to everyone else’s. Don’t go overboard though, your designer should be sensitive to cultural norms. A really wacko design wouldn’t do well in funeral home. However, you should still seek distinctiveness. 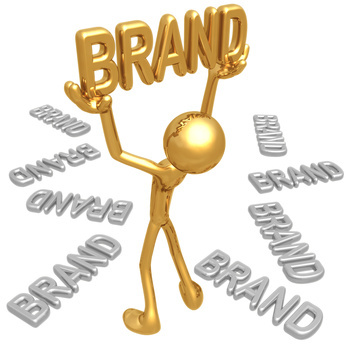 Your logo must be appealing to those who aren’t affiliated with your company. This means you must test your logo. Show it to your customers and see what they think. Ask them what emotions it evokes in them. 4. Conveys the right image. No matter what you do, if people don’t understand your logo, then it will be ineffective. Who are you trying to target? Where are you going to be displaying your logo other than your web site? Will it be on your letterhead, business cards, auto signs? Does your logo put out the same message no matter where it is displayed. In conclusion, your logo is central to your company’s “personality”. Even if your company has a great personality, if your logo doesn’t convey that, then people may get the wrong idea and never do business with you. Within your logo and company name is held all of your investments, because it is this clear, identifiable aspect of your brand that the consumer uses in selecting your company or purchasing your products.